Description: This is a guide that will help you flash a 99% stock factory image for the official Jelly Bean leaks for Verizon Galaxy S III overwriting every partition on the device to stock. The ONLY major change I have made is for your convenience it keeps all your data/apps/settings and internal storage partition in tact. In addition to that I have also provided a small mod in the image that allows the following options below as optional flashes. Minor Warning: Please note that if you had any special mods that you had to manually flash before or move on the system partition (like Google Wallet, AOSP 4.2 apps like camera and gallery, etc...) they will be lost as you are overwriting your system partition to factory stock. Please make sure to do the needful with your mods before following this guide (for example resetting the Google Wallet app). I have just received the Jelly Bean OTA and all I'm looking to do is root it. What do I do? Does this method trip the flash counter? Yes and no. The only time your flash counter gets tripped is when you flash a custom kernel or recovery. Since the factory image in Step 1 contains the original kernel and recovery partitions, your flash counter should not be tripped. However, after flashing the custom recovery in Step 2, that will indeed increase the counter (no way to escape that since you are flashing a custom recovery). Solution? Download the TriangleAway app from this thread or from the Play Store after you have completed Step 3 and reset the counter. That easy! I get an "MD5 hash value is invalid" error when I load the ODIN file. What do I do? This usually happens whenever your downloaded file is corrupt and has not transferred properly to your computer and your best bet is to try to redownload the file and try once again. However, there are certain cases where you download the file multiple times and still get the error. In that case there is a small workaround. Firstly, you should see an MD5 that I have posted for each ODIN file in the downloads below. Download this MD5 Checker application to your computer and verify that the MD5 value I have listed for the accompanying download matches the file you have download. If it does not, redownload the file again until you get a match (not safe to flash it in ODIN until you do). However, if the MD5 does match and you still get the same error, all you have to do is rename the file and remove ".md5" from the end of the filename and it will flash. But take note, ONLY do that if the MD5 matches the one I have listed. Otherwise you are running the risk of flashing a corrupt image in ODIN and you can hard brick your device in some cases. Do I need to flash kernel, radio, or RPM separately? Not necessary at all. What makes my guide different from your everyday ROM is that these are complete factory images. What that means is that the image file contains every single updated partition for that build that you would need to bring your entire device to the latest build. Normally most ROMs that you flash in recovery only include System and sometimes Kernel partitions. However, these ODIN images includes every single partition that exists on your device (kernel, radio, RPM, system, aboot, and over 15+ other hidden partitions you normally don't see or have access to). So upon flashing these images you do not have to flash any other partition as these will all automatically be upgraded after completing all three steps in my guide. I'm coming from a completely stock device. Will this guide work for me too? Absolutely! This guide was exactly intended with stock devices in mind. Flash with no worries and at the end of all three steps you will be on the latest Jelly Bean build, rooted, and with an unlocked bootloader. I can't find Blocking Mode that was added to Jelly Bean on every other Galaxy S III. Where is it? For some unknown reason Verizon decided to leave us out in the cold with Blocking Mode just as they didn't have the All-Share Cast option in ICS. 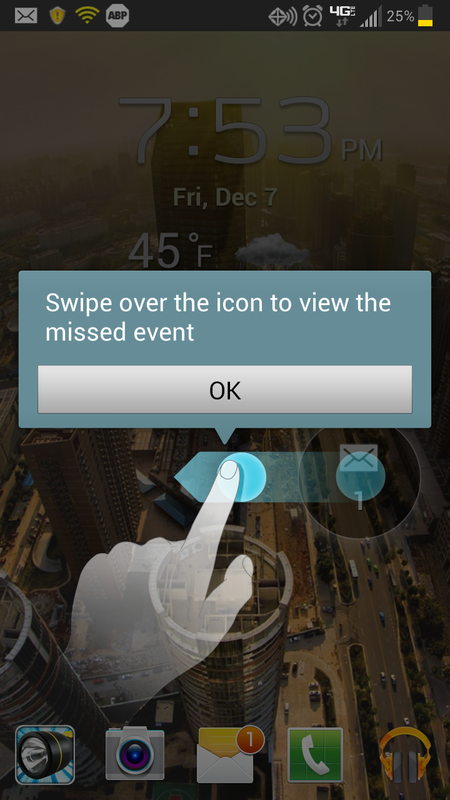 They have done the same thing with the Galaxy Note II and recently a small workaround has been found to activate this feature. Please check this thread for details. After flashing this image I no longer see the lockscreen notification bubbles for missed calls and text messages that I had in ICS. Where did they go? For one reason or another Samsung and Verizon intended to remove the lockscreen missed notifications with the Jelly Bean upgrade so what you are seeing is normal. There is a small workaround to get them back but then you will have a small bug if you do that. For the workaround, if you use Root Explorer to look in "/system/csc" you should see a file named "customer.xml". Rename it to "customer.xml.bak" and this is brings back the lockscreen notification bubbles. However, upon doing that you will notice that this message will now never go away. The helper text for that specific notification will never go away because that notification is not supposed to exist in Jelly Bean so it doesn't know how to clear it properly after you've completed the action. The only thing you can do is by the disabling the "Help" app in your Application manager ("All" tab), which will stop showing all helper text. The workaround is reversible so the choice is up to you. If I have <your build or ROM version here>, can I flash this image to get back to stock? Absolutely. That is exactly what these factory images are intended for. They will reset your device to a complete build as official from Samsung and Verizon. Go right ahead. Very nice, will have to give this a try. I guess going back to the HE ROM would still work if you do a CWM Backup first? One reason why I was reluctant to try I5 was having to reinstall all my apps and settings. Does this also include the I5 radio baseband, or does that still have to be flashed separate? Some have reported the HE baseband is working better than the I5 one. Either way, it's easy to flash those zip. Just flashed it, and missing is any Camera or Gallery app, either the Samsung one or the (new) Android 4.2 one. Please note that mods you have applied to the system partition will have to be reinstalled after flashing the image. Since Camera and Galley are both mods that affect the system partition and you manually flashed onto it, you will lose them normally. Wallet is another example as well so make sure to reset your Wallet app before flashing this image. But you should still see the original Camera and Gallery apps show up that are part of the stock firmware. Please double check that they are not hidden in your launcher or disabled (see the bottom of your Application Manager for disabled apps) from a previous mods perhaps you disabled them before flashing the 4.2 apps. I can personally confirm after multiple testing that Camera and Gallery are both included in this firmware. I know this is going to be a stupid question... but is the stock (untouched) image not able to be rooted/unlocked? Only reason I ask is because I like having a factory image to flash that does wipe data so it acts as a "start fresh" approach. Thanks for this guide and the joined root/unlock. That's good stuff. If you'd like to do a data wipe all you have to do after the image flashes is go into Settings > Back up and reset > Factory data reset. This does the same exact process. I highly don't recommend using the Original Untouched image or it is a much more complicated process to restore root and custom recovery after that. Hence this is why I created this modified image and this guide. The only reason I am linking to that image is for reference purposes only to any developers who want to explore and compare. Thank you have been waiting for this. Excellent write up. Thank you very much for your contribution. When using the HE ROM, I only had the included Samsung Camera and Gallery app, I did not install the separate Android 4.2 app. So when I used ODIN to flash this I5 ROM, I noticed that the Camera and Gallery are not listed in the app drawer. I went into Settings/Applications, and they are still listed, but doesn't have an option to open them. Also went into Titanium Backup, to restore them from a backup of apps I did a few weeks ago. Even after restoring them, they still were not listed and could not be opened. I'm not sure why these two apps were having a problem, but after trying it for a day, I used CWM and restored my HE backup. Now the camera and gallery apps work again, as they should, but now I get a Visual Voicemail error each time the phone turns on. So I had to force stop that app from loading.